It is a condition of the competition that players must use a brand of ball on the current USGA List of Conforming Golf Balls. Penalty for breach of this condition is disqualification. It is a condition of the competition that any driver the player carries must have a club-head identified by model and loft that is named on the current USGA List of Conforming Driver Heads. Penalty for carrying a non-conforming club is two strokes per hole for a maximum of four strokes per round. In match play, the state of the match is adjusted by deducting one hole for each hole at which a breach occurred; maximum deduction per round is two holes. Penalty for using a non-conforming club is disqualification. The player’s clubs must conform to the groove and punch mark specifications in the Rules of Golf that are effective from January 1, 2010. Optional condition as prescribed an Appendix I is in effect. Reference Rule 6-8, 6-8b and its note. Suspension for a dangerous situation: One long prolonged siren or air horn note. All other types of suspensions (i.e. for darkness): Three consecutive air horn notes. Resumption of play: Two air horn notes. Practice between holes is NOT authorized in stroke play competitions. Reference Rule 7-2 and note 2. 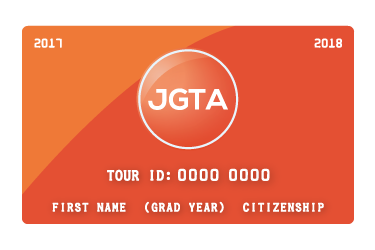 Except when permitted by the JGTA Committee, players are prohibited from using caddies or golf cars without prior medical approval. Players are responsible for carrying their own bag during the competitive round. In stroke play, penalty for breach of this rule is two strokes per hole, maximum of four strokes per round. In stroke play, use of any unauthorized caddie or golf car shall be discontinued immediately upon discovering that a breach has occurred. Otherwise, the player shall be disqualified. Optional Condition as prescribed in Appendix I is in effect. Exception: a player may ride in designated shuttles and may accept transportation from a Rules Official. In stroke play, competitions are deemed to have closed when all scores have been approved by the Committee or a winner has been announced. In match play, the result of a match is considered to have been “officially announced” when the Committee has approved the result as posted on the public scoreboard. 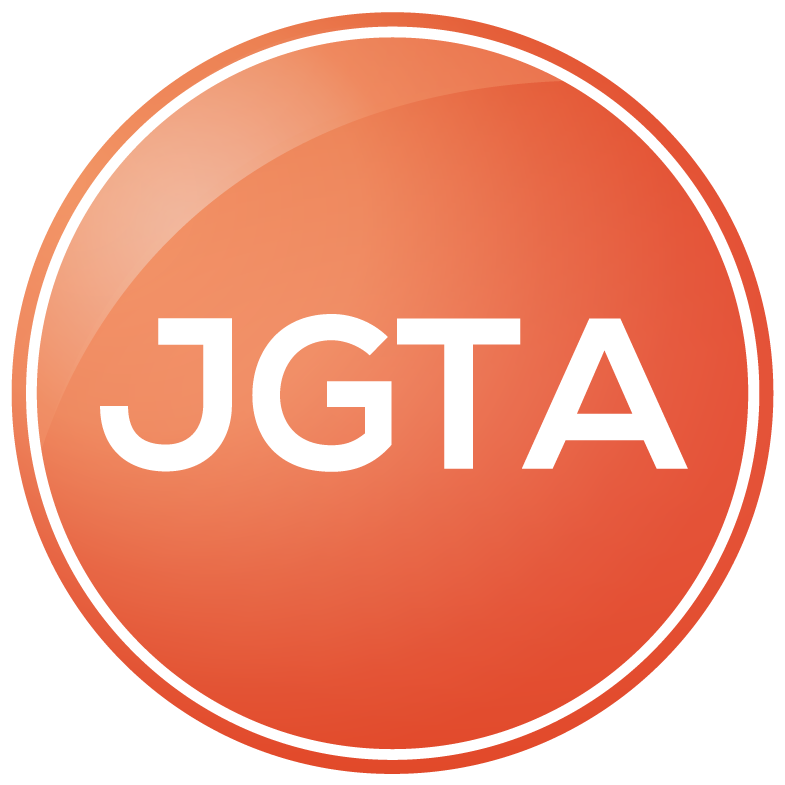 For all JGTA competitions, a player may obtain distance information by use of a distance-measuring device. If, during a stipulated round, a player uses a distance-measuring device to gauge or measure other conditions that might affect his play (e.g., elevation changes, wind speed, etc. ), the player is in breach of Rule 14-3. Penalty for first breach of Rules is two strokes in stroke play or loss of hole in match play and subsequent offense is disqualification. Local Rule as prescribed in Appendix I is in effect. Wood chips and mulch are loose impediments (unless otherwise provided in the Notice to Competitors). Stones in bunkers are deemed to be movable obstructions. Out of bounds is defined by the inside edge of white stakes and/or property fence posts at ground level. When defined by a white line, the line itself is out of bounds. The inside edge of a paved road or curb defines out of bounds. A ball that is on or beyond the road or curb is out of bounds, even though it may lie on another part of the golf course. When a water hazard or a lateral water hazard is defined on only one side, it is deemed to extend to infinity. When a water hazard or lateral water hazard is bounded by out of bounds, the hazard margin extends to and coincides with the out of bounds line. Curbing and artificial materials bordering cart paths are considered part of the obstruction. White-lined areas tying into roads (not defining out of bounds) and paths are part of the obstruction. The Local Rule in Appendix I of the Rules of Golf is in effect. All tented areas, including any stake and rope immediately surrounding the tent and any objects such as the table and chairs located within the stake and rope, are deemed to be temporary immovable obstructions. Purposely moving any part of a TIO is a breach of this Local Rule. Special Relief Procedures: In addition to the available relief options under the Rules, a player having interference (including intervention) from any TIO may drop the ball, without penalty, on either side of the obstruction, but not nearer the hole. Fire ant beds or mounds (Note: For a player whose ball is in a water hazard and is affected by a fire ant bed or mound, see Decision 1-4/10). Except in a hazard, sod seams (not the sod itself) are deemed to be ground under repair, and relief is available under Rule 25-1 if the ball lies in or touches a sod seam or the sod seam interferes with the area of intended swing. All seams within the sodded area are considered the same seam. Artificial walls and pilings when located in hazards.